The leading energy supplier in the UK, British Gas, has reported an increase in profits for 2012. The firm generated pre-tax profits of £606 million, an increase of 11 per cent from the previous year. Centrica, the owner of British Gas, announced a similar rise in operating profit, which increased by 14 per cent between 2011 and 2012 to reach £2.7 billion. 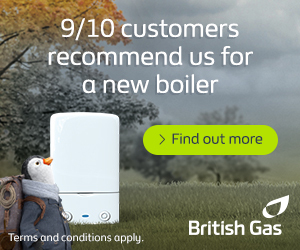 A spokesperson for British Gas claimed the rise was a consequence of a relatively cold winter. News of increased annual profits is unlikely to please customers of British Gas, whose gas and electricity tariffs were raised by 6 per cent last November. At the time, consumer groups claimed the Big Six energy companies (excluding E.ON, which waited until January to raise tariffs) were guilty of profiteering ahead of Christmas, but Ian Peters, a Managing Director at British Gas, insisted that profits were “not connected” with price rises. Sam Laidlaw, the Chief Executive of Centrica, added that per-household profits had fallen in 2012 and a “5 per cent margin on the business” was necessary to invest in new energy sources and technologies. Speaking to the BBC, Consumer Focus Director Audrey Gallacher commented: “Perhaps we should not be surprised to see higher profits after a cold winter and with the prospect of significant investment in our energy infrastructure. “But this announcement comes after more price rises last year, record numbers [of households] in fuel poverty and not long after the energy regulator warned of higher still energy prices for the foreseeable future”. Ms Gallacher concluded: “We should not be surprised if consumers regard these results and the warning of price rises to come with a mix of resentment and dread”. Ann Robinson, Consumer Policy Director at uSwitch, claimed 70 per cent of people living in the UK “went without heating” at some point during the winter. Ms Robinson added that fuel poverty was clearly affecting the health and living conditions of millions of Britons. The increasing cost of energy is a major concern for the majority of British households. Energy bills can be controlled to an extent by installing solar panels, loft insulation, cavity wall insulation and double glazing, but not without a cost.